The head of the Organization of American States (OAS), Luis Almagro, warned Friday that military solution of Venezuela's economic and political crisis must not be ruled out, AFP Reported. "With regards to a military intervention aimed at overthrowing the regime of Nicolas Maduro, I think we should not exclude any option," Luis Almagro was quoted as saying by AFP in the Colombian city of Cucuta, near the border with Venezuela. In early July, US media reported that US President Donald Trump has deliberated with his foreign policy advisers about a possibility of invading Venezuela in response to an ongoing crisis in the Latin American country. Venezuelan President Nicolas Maduro, in turn, has called on the country's servicemen to be prepared to repulse the US aggression after the reports about Trump's seriously considering the possibility of invasion of the Bolivarian Republic. Last week, The New York Times reported, citing the US and Venezuelan sources, that the Trump administration had discussed with rebellious Venezuelan military officers plans to topple country’s President Nicolas Maduro. 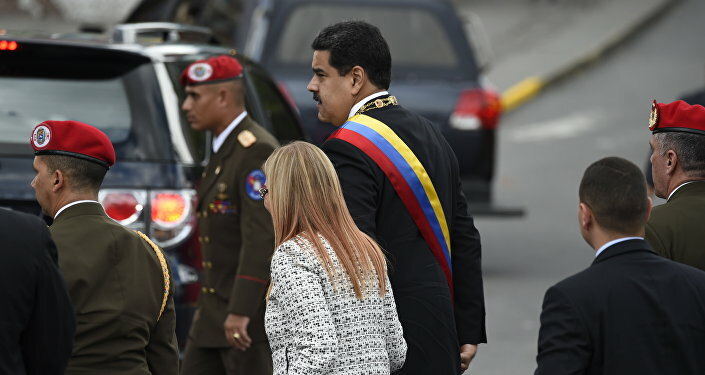 On August 4, Nicolas Maduro was attending a military parade in the country's capital Caracas when his box was hit by an explosion caused by two bomb-laden drones, leaving Maduro unharmed but several soldiers wounded. Maduro accused Colombia of orchestrating the attack and added that some of the suspects resided in the United States. Both Washington and Bogota have denied any involvement in the incident. Venezuela has been struggling with political and economic crisis amid a global slump in oil prices and US sanctions after Washington blocked its investors from buying Venezuelan debt and prohibited dealing in Venezuelan digital currencies. US National Security Council spokesman Garrett Marquis has said in light of the emerged media reports alleging the US invasion plans that the United States was committed to the policy providing for Venezuela's peaceful return to democracy. 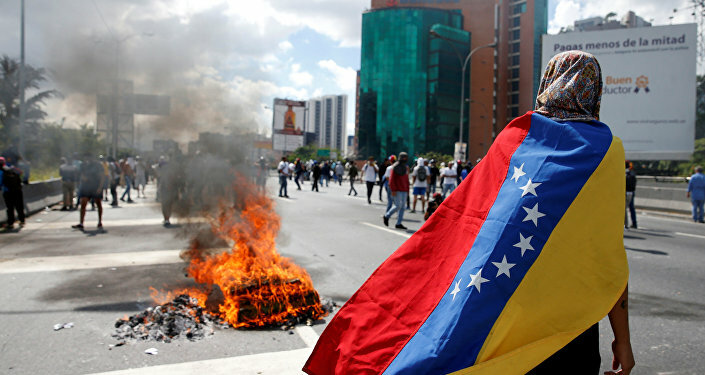 In July, Russian Envoy in Caracas Vladimir Zaemsky did not rule out in his comments to Sputnik that the United States might go beyond just threats and carry out a full-scale military intervention in Venezuela.